The vast majority of articles that I read focus on short-term trends. They must think that we are nothing more than a bunch of “traders” and gamblers. Since I started writing this newsletter, I have made it a point to present Richard Russell’s “big picture” and “primary trend” analysis to our readers. 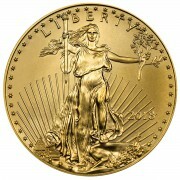 I constantly stress that (physical) gold is not an investment; gold is money. You buy it and set it aside and forget about it. If you feel that you must “trade,” then the ETFs are there for you and mining shares too. 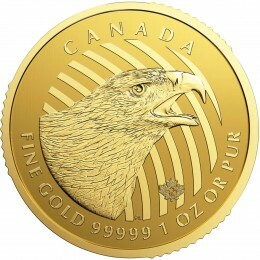 But this kind of “paper” gold should not be used as a substitute for physical gold and the same is also true for silver. The reason that a vast majority of the articles on gold and silver focus on technical analysis and short-term buy and sell signals is because the authors of the articles sell their advice (subscriptions) and they condition you to believe that you need their “expertise.” I am not being critical of this; I am simply pointing it out. But for most of our readers, you are best served by the big picture views presented by Russell and Jim Sinclair. We don’t charge for the information. We want you to clearly understand the financial mess that is engulfing us and the role that precious metals play as the best form of protection. We want to counteract the bearish views from people like Ned Schmidt and Larry Edelson. They are entitled to their views, but we feel that they are just flat out wrong. Some may think of us as “perma-bulls,” and in a sense, they would be correct. But that’s what you should be when you are in a PRIMARY BULL MARKET. You stay “long” for the duration and we are far from the top, which may not occur for at least three or four more years, maybe longer. There are two kinds of mistakes you can make – paying a little bit too much for your purchase by not correctly determining the “bottom” of a short-term move – or by staying on the sidelines. Of the two, the second mistake is the killer. Better to pay a bit too much and be in the game than to be on the sidelines trying to “guess” where the bottom is. I have seen it happen too many times – people wait for a bottom, it doesn’t come and prices shoot sharply higher and they get frustrated and refuse to pay “the higher price.” How stupid! Every purchase that I have made in the last 12 years, regardless of the purchase price, is a winner. I couldn’t buy the gold or silver at those prices today. 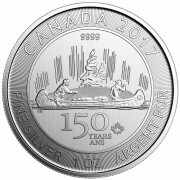 Even if you purchased when gold was $1,900 and silver $50, if you wait just a few more months, you will be in the black. There is no such thing as paying too much during the early stages of a bull market. The only mistake you can make is not buying enough ounces. It’s all about OUNCES, not about how smart you were to catch a bottom. Don’t let your ego get in the way. 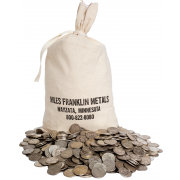 If you have enough ounces, your profits will be enormous and whether you saved $50 an ounce on a gold purchase or $10 on a silver purchase, in the end it will not amount to a significant number of ounces to you to make much of a difference. And that, my friends, is a fact.